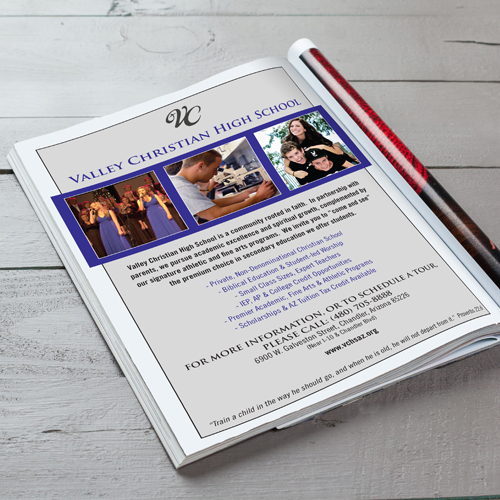 Valley Christian High School is a private faith-based high school. 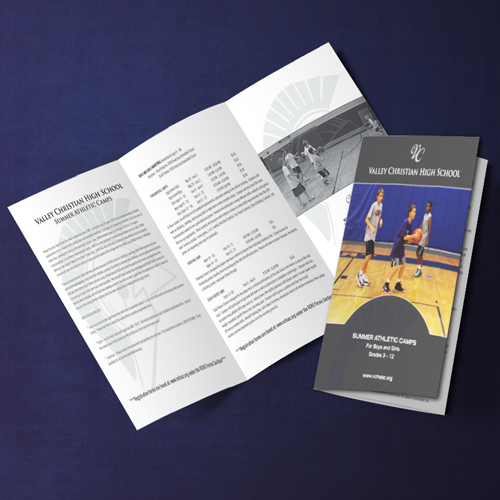 It has been named among the top 50 Christian high schools in the U.S. Despite its excellent track record with 97 percent of its graduates going on to higher education, the school was not widely known in the community and its leadership wanted to develop a greater awareness of the school and its offerings. 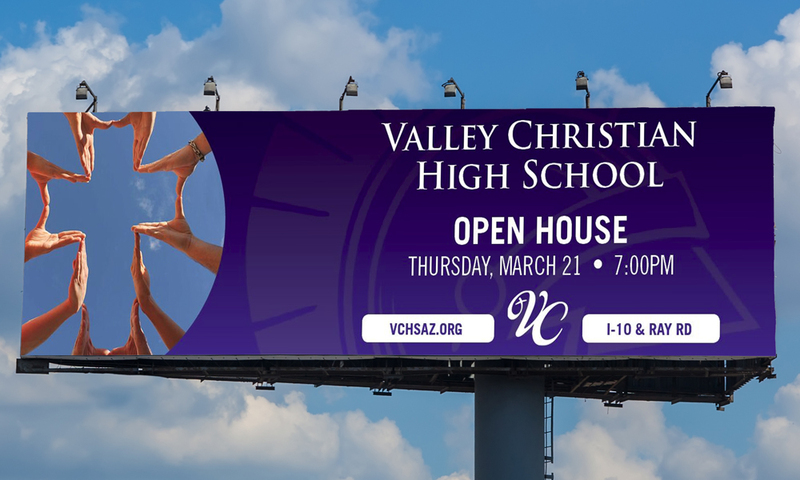 AEI Advertising worked with Valley Christian’s marketing and executive management team to develop a campaign that included print advertising, billboards, online banner ads, postcards, brochures. 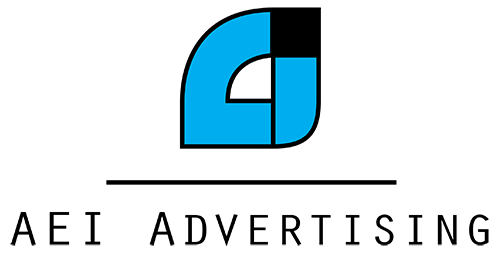 Before launching the campaign, the creative team at AEI Advertising refreshed the school’s logo to better reflect the true spirit of this unique and special private school.